Hypovascularization of cervical tumors, coupled with intrinsic and acquired drug resistance, has contributed to marginal therapeutic outcomes by hindering chemotherapeutic transport and efficacy. 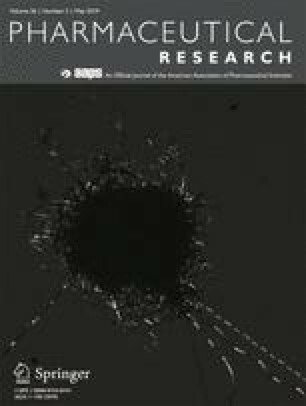 Recently, the heterogeneous penetration and distribution of cell penetrating peptide (CPP, here MPG) and polyethylene glycol (PEG) modified poly(lactic-co-glycolic acid) (PLGA) nanoparticles (NPs) were evaluated as a function of tumor type and morphology in cervical cancer spheroids modeling hypovascularized tumor nodules. Building upon this work, this study investigates the efficacy imparted by surface-modified Doxorubicin-loaded NPs transported into hypovascularized tissue. NP efficacy was measured in HeLa, CaSki, and SiHa cells. NP internalization and association, and associated cell viability, were determined in monolayer and spheroid models. MPG and PEG-NP co-treatment was most efficacious in HeLa cells, while PEG NPs were most efficacious in CaSki cells. NP surface-modifications were unable to improve efficacy, relative to unmodified NPs, in SiHa cells. The results highlight the dependence of efficacy on tumor type and the associated microenvironment. The results further relate previous NP transport studies to efficacy, as a function of surface-modification and cell type. Longer-term, this information may help guide the design of NP-mediated strategies to maximize efficacy based on patient-specific cervical tumor origin and characteristics. Hermann B. Frieboes and Jill M. Steinbach-Rankins are joint senior authors. The online version of this article ( https://doi.org/10.1007/s11095-019-2602-y) contains supplementary material, which is available to authorized users.